Due to their excellent uniformity and transmission characteristics along with their inherent reliability and durability, Iridian’s standard telecom filters have been used for earth-lunar communication for NASA’s Lunar Laser Communication Demonstration (LLCD) associated with the LADEE (Lunar Atmosphere and Dust Environment Explorer) project. A multi-spectral array of 10 bandpass filters from 3 um to 13 um (developed under a subcontract from ABB Canada for the Space Technology Development Program of the Canadian Space Agency). The 532/1550 nm partial reflectors and AR coatings for Fabry-Perot etalons used on NASA’s ICESat-2 satellite. AR coatings for use on NASA’s Solar Dynamics Observatory (SDO). 2-10 nm bandpass filters used by NASA for remote sensing applications around the world. Very narrow-band, large format filters for imaging lightning. 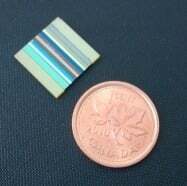 Coated components (i.e., Michelson interferometers) used or currently scheduled to go into space. 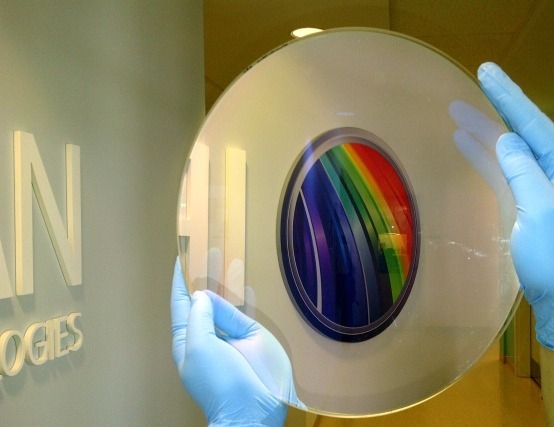 Iridian has supplied custom filters, with sizes as large as 200 mm x 170 mm, for astronomical observations. One such multi-peak filter was used by the John Hopkin’s University group investigating the accelerating expansion of the universe to detect Type 1A supernova. Instruments used in harsh environments such as outer space must be durable yet precise enough for the purposes of science. Iridian is the proud supplier of high performance and reliable light absorbing (‘black absorbers’) thin film filters to the Canadian Space Agency. These light absorbers have been in use on the International Space Station (ISS) and on satellites launched by the Space Shuttle. Iridian’s light absorbers for space application are used to provide a high contrast surface in comparison to the highly reflecting white surfaces used on satellites or the space station. For space and other harsh environments, Iridian’s light absorbers can be designed and fabricated for either a narrow or broad wavelength ranges between 400-2200 nm. They use hard dielectric coatings with excellent durability. In addition, our light absorbers can be shipped with an adhesive-backed surface for easy application to different types of surfaces and can be cut into different shapes.